Have Your Cake and Eat It with KitKat in Japan. 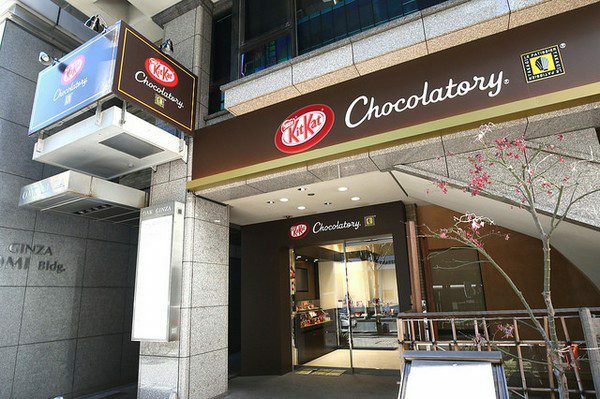 This week saw the reopening of a specialist KitKat chocolate store in Tokyo. The KitKat Chocolatory Ginza store celebrated this event in style. Although not for resale the first few customers through the door each day will be able to enjoy a slice of KitKat Chocolatory Gateau Mignon in the style of the iconic confectionary bar. In 2014 Nestlé introduced the Chocolatory range as a premium arm of the KitKat range in Japan and has been extremely successful. A wide range of different KitKat bars are offered including some in special presentation boxes, a far cry from the Chunky KitKat grabbed by the till in a UK Supermarket!